Create a stunning ambiance at your next event with mermaids decorating your pool or backyard. 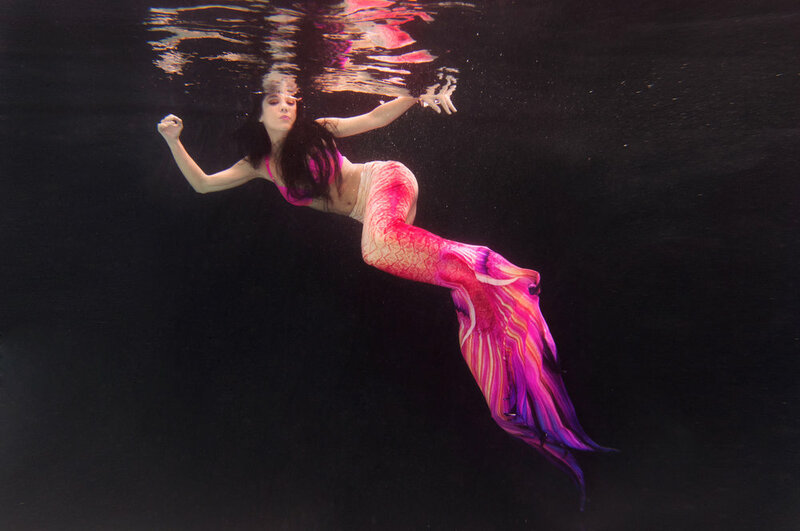 Mermaid can be "dry" just staying on land to greet guests, highlight a raw bar or pose for photos with guests or they can swim in your pool creating a magical scene. Perfect for children's parties and corporate events alike, mermaids create the perfect backdrop for your party. Our mermaids our further trained in fire performance allowing to add an extra touch with fire fans, fire headdresses and fire eating. We can provide fire liability insurance certificates upon requests. 561-267-3787 for more information. A beautiful addition to our mermaid shows are aquatic bubble dancers. Our dancers are able to stroll your party and float on your pool while dancing to the music of your event or performing acrobatic feats. LED costumes enhance the experience. The dancer can be in any style of costuming from gogo, bollywood, bellydance, samba, polynesian, ballerina or more. No pools are required as these dancers can perform on land as well! 561-267-3787 for more info.